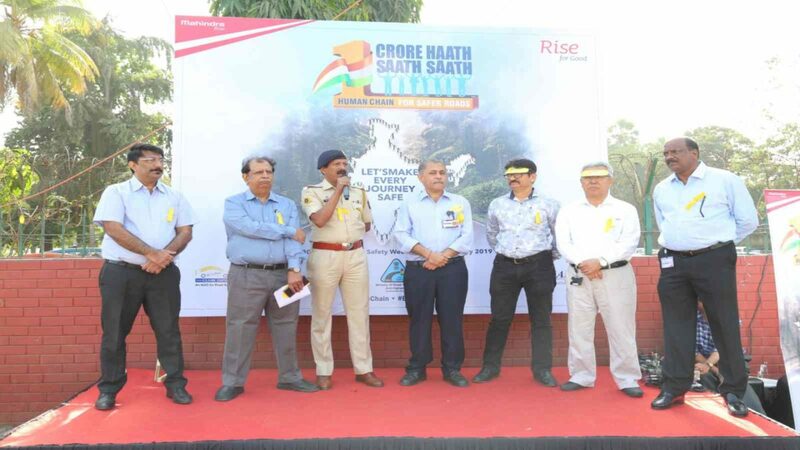 In a unique way to create awareness about road safety, Mahindra and its employees joined hands together for the #1CroreHaathSaathSaath campaign. This campaign was organised by Society of Indian Automobile Manufacturers (SIAM), the Ministry of Road Transport & Highways (MoRTH), in association with its NGO Partner, Drive Smart Drive Safe (D2S), reiterating its commitment toward safer roads across the nation. 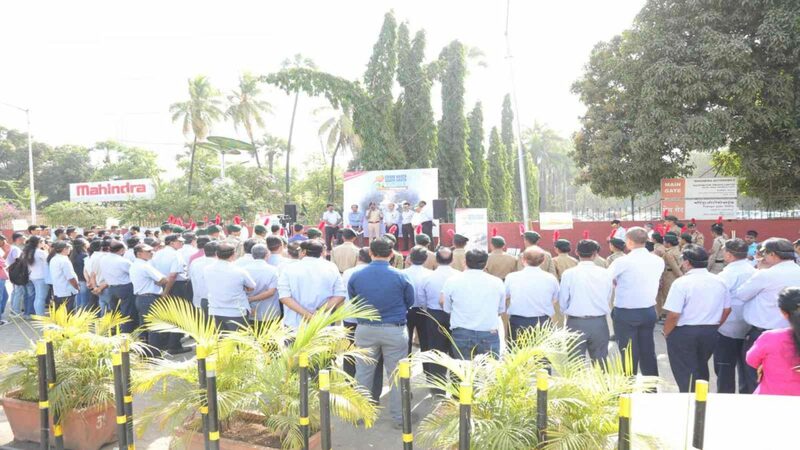 As a part of this initiative, 80 employees and 78 more volunteers joined hands together to form a human chain near the Mahindra plant in Kandivali. They worked together to educate drivers and pledge their commitment to safe driving. Initiated back on the 4th of February, 2019, the #1CroreHaathSaathSaath campaign aims to create awareness about road safety and aims to educate people about the same. The campaign aims to engage 50 lakh individuals in an act of solidarity, by joining 1 crore hands during the Road Safety Week 2019 commemorated across 100 cities. This campaign further aims to establish “Drive Safe” clubs in organizations, schools, colleges, universities, corporates, start-ups, RWA’s, and institutions. Members of this club would be made to sign-up and follow an elaborate 6-point code of conduct, making themselves safer on the road. The Club will in-turn reward the members for displaying good driving behaviour through AI enable, mobile phone application. This app is free to use for all road users who sign up for the code of conduct.